BUFFALO, N.Y. – Hunters across the nation are spending their fall weekends in the woods but many of them may be at risk for serious falls that can result in injuries and even death because a popular tree stand has been found to be defective. 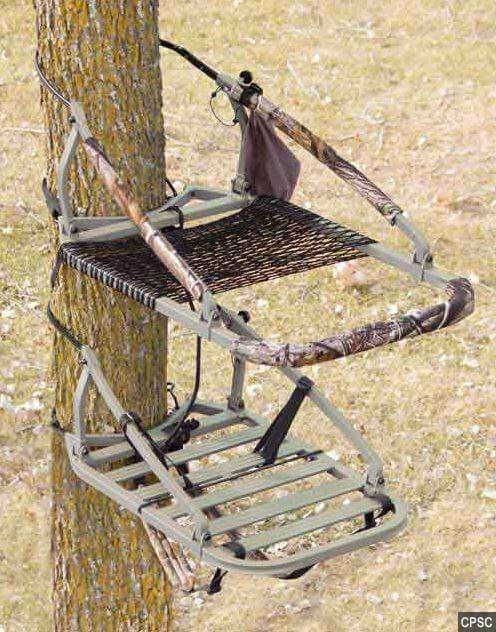 The U.S. Consumer Product Safety Commission (CPSC) announced the recall of several tree stand models made by Big Game and the Global Manufacturing Company. The CPSC said the stands use a cable assembly that can unexpectedly release – causing the stand (and whoever is on it) to fall. Buffalo defective product attorneys at Cellino & Barnes said if a hunter is injured because the tree stand didn’t work properly, the manufacturer could be held liable for any injuries. The CPSC said there have been reports of the cable assembly suddenly releasing and it has resulted in injuries to the user’s knee, hip and wrist. Another report of failure resulted in several fractures, a sprained shoulder and a broken vertebra. Hunters are now being warned not to use these recalled stands until they receive free replacement cables from the manufacturer. Hunters who have been injured due to any malfunctioning tree stand should call a defective product attorney at Cellino & Barnes today for a free case evaluation. Owners may also request free replacement cables by contacting the manufacturer. NEW YORK – You’ve probably heard about bizarre deaths in a song or something: she dried up in the desert, drowned in a hot tub or danced to death at an east side night club (yeah, that’s a song by Train). While 50 Ways to Say Goodbye seems fantastical, some of these bizarre deaths actually happen. With publicity in media today, we’re concerned with things like shark attacks, flesh-eating bacteria and plane crashes. While these accidents do happen, there are many other strange mishaps that claim more lives; like coconuts. 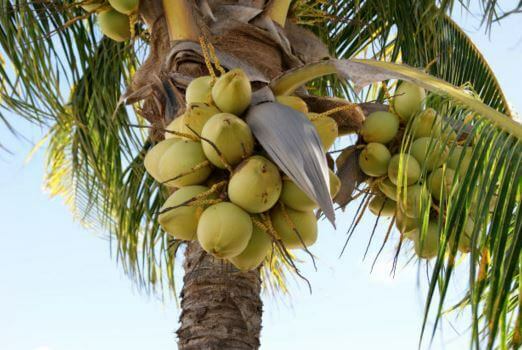 Yes – coconuts can be deadlier than shark attacks. In fact, about 150 people are killed each year from falling coconuts. On average, a deadly shark attack only happens once every two years in the United States. A New York personal injury attorney at Cellino & Barnes said no matter how bizarre the circumstances around an injury are, there could be ways to legally obtain financial recovery. Coconuts aren’t the only risk hanging above head – icicles kill about 15 people each year and another 24,000 people die from lightning. Wind, ladders, horses, bees, and champagne corks are each responsible for more than 20 deaths each year. So, on New Year’s Eve, don’t be a show-off – put safety first when you’re opening that bottle of champagne because it’s difficult to predict where that cork is going. Ants – Responsible for killing about 50 people each year. Avoid the fire ants. Hippos – You might have heard they’re the deadliest animal on Earth; claiming nearly 3,000 lives each year. 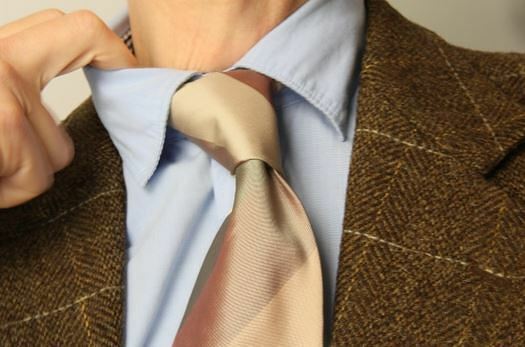 Being Left-Handed – Yes, we left-handers are often neglected. Many products are designed for right-handed people and trying to use these items can sometimes be a challenge. Electricity can be fatal as the current could run closer to vital organs if you’re lefty. Recently, one many filed a lawsuit after a 16-pound pine cone fell on his head in San Francisco. Ouch. New York personal injury attorneys suggest speaking with an experienced lawyer if you’ve been injured. It’s a free call and many times a claim can spark changes – helping to prevent your accident from happening to someone else. 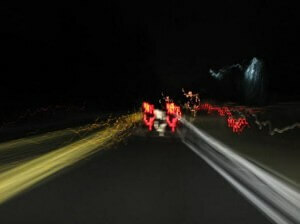 NEW YORK – We can all agree that drunk driving is never a good idea. Still, many people choose to do it. We can also agree that riding with a drunk driver isn’t a wise choice either. Still, many people do this – especially teens. Across the United States, the legal drinking age is 21. However, many teens are involved in drunk driving accidents each year. Some of them had been drinking and many others hadn’t but their choices still resulted in serious injuries and sometimes their death. According to a study released by the Research Society on Alcoholism, 1 in every 5 alcohol-fueled traffic fatalities was a passenger. A Long Island car accident lawyer at Cellino & Barnes says the problem could be that passengers are ‘willing’ to ride with a drunk driver. The RSA study found that teens are at extreme risk of being passengers in drunk driving crashes simply because they’re willing to ride with a drinking driver when they believe it will have a positive result. Specifically, researchers said “helping,” “supporting,” or “protecting a friend” were excuses teens used for riding with a drunk driver. 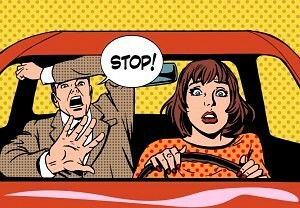 Some surveys estimate 1 in 4 teens are willing to be a passenger in a vehicle driven by a person who has been drinking. Statistics show thousands of teens are killed each year due to these decisions. As safety advocates, Cellino & Barnes aims to raise awareness of the dangers and risks involved with drunk driving. The firm’s Long Island car accident attorneys have also helped the victims of alcohol-fueled car crashes and other accidents receive over $1.5 billion in compensation. National Teen Driver Safety Week lasts until October 24th, with the goal of minimizing teen driving accidents. ROCHESTER, N.Y. – When you get in a car, it’s considerably safer today than it was 10 or 20 years ago. For the past two decades, new safety features have attributed to a declining number of deadly collisions but many industry officials expect the first increase in years after they crunch the numbers for 2015. According to the National Safety Council, motor vehicle deaths were up 14 percent in the first six months this year – recording more than 18,000 traffic deaths and that’s not all: the total number of crashes involving injuries could be up as high as 30 percent. A Rochester car accident attorney at Cellino & Barnes said this upward trend should be concerning for any motorist. 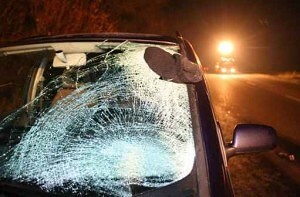 The NSC said the rising number of accidents could be attributed to lower gas prices and an improving economy. 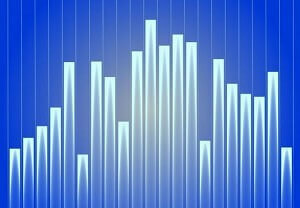 The fewest fatalities registered since the 1950’s occurred in 2011 – as the economy was still feeling negative effects. If the pace continues this year, traffic fatalities could rise by over 13 percent – the largest increase since 1946. Automatic braking, an emerging safety feature is considered a ‘luxury’ item by most automakers and it usually doesn’t come standard on a new vehicle purchase. However, government officials are pressing automakers to include the feature as a standard device on new car sales. The other issue at hand could be the increased use of smartphones while driving. Some surveys showed that as many as 75 percent of all drivers use their smartphones while behind the wheel. Texting, being the most common activity on smartphones, more than 60 percent of drivers have openly admitted to sending or receiving messages when they should have been focusing on the road. Rochester car accident attorneys at Cellino & Barnes say the increase in injuries and deaths is “alarming” and NSC researchers suggested it could be the beginning of a trend as opposed to an outlying spike or bump in the number of accidents. NEW YORK – We’ve all heard the phrase before: “Brace for impact.” Whether you’re in a vehicle crash or you slip and fall, your body can reflexively react. Some researchers have dedicated their careers to finding the safest way to train your body to brace for impact – but does it really work? For years, the Federal Aviation Administration has been testing brace positions on crash dummies. Try tucking your in between your legs or curling into a ball. Yeah, have you seen the amount of leg room on planes and cars today? It’s not easy to get into some of the ‘old’ recommendations for brace positions. New research suggests your brain’s natural reaction may be the best choice after all. In car crashes, researchers have determined that most drivers reflexively lock their arms against the steering wheel or dashboard and press their heads back against their seats. This could result in a broken arm but researchers determined it protects the head and other vital organs from severe injuries. A Manhattan car crash lawyer at Cellino & Barnes said head injuries are usually present in some of the most severe crashes. Pressing your head back against the seat can help minimize the risk of a secondary impact but these tests were conducted on head-on crashes. Using computer simulations, analysts found this bracing technique doesn’t consistently work well for angle crashes and rear-end collisions. Studies show those who pushed away from the crash direction had a better chance of surviving without serious head or torso injuries. Of course, if you knew a where a crash was going to happen and had enough time to react properly it might just be easier to avoid the crash in the first place. That’s why Manhattan car accident attorneys at Cellino & Barnes say there’s no substitute for safe, defensive driving. BUFFALO, N.Y. – As part of National Teen Driver Safety Week, parents and teens are being reminded about how dangerous and deadly vehicles can be – especially when the driver is preoccupied or under the influence of drugs or alcohol. A Buffalo car accident lawyer at Cellino & Barnes says distractions and inexperience can often lead serious car wrecks; and debilitating injuries. 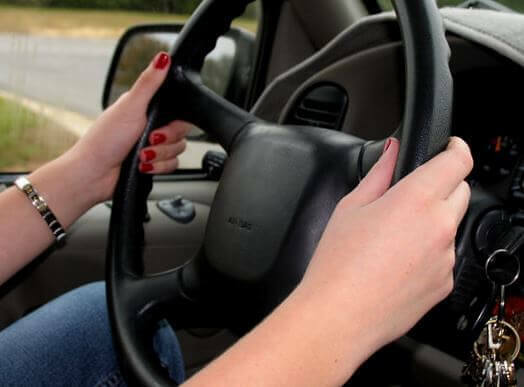 Although teen car crashes and fatalities have been declining, motor vehicle crashes continue to be the leading cause of death for teenagers and lawyers say distractions are usually a factor. According to a study by the AAA Foundation for Traffic Safety, nearly a million teen drivers were involved in car crashes in 2013 alone. Nearly 40 percent of these accidents resulted in injury or death. Buffalo car accident lawyers say in some crashes, a teenager could be doing multiple tasks. Attorneys hope to raise a teen’s awareness of the risks and responsibility involved with operating a motor vehicle. National Teen Driver Safety Week runs from October 18 through Oct. 24. ROCHESTER, N.Y. – It’s that time of season when we can get outside with a comfy long-sleeve shirt and watch the leaves fall. We can celebrate Oktoberfest, Halloween parties and there’s nothing like watching the wildlife on those crisp autumn evenings – but seemingly everything becomes more dangerous when we’re on the roads. Yes, it’s one of the most dangerous times of the year. A Rochester car accident attorney at Cellino & Barnes says everything I just mentioned above can be a hazard on the road. Sure, they’re great to watch and the colors in Western New York are stunning but this yearly ritual can be dangerous under the right circumstances. Leaves don’t provide the same traction for tires as a dry road surface; and if the fallen leaves have clogged any drainage areas, there’s a good chance for flooding – and hydroplaning. Where the leaves have fallen, auto accident lawyers suggest changing your driving habits. Many people celebrate Oktoberfest and a plethora of Halloween parties can make driving home spooky due to a number of drunk drivers on the road. Although the number of drunk driving accidents has been reduced in recent years, it remains one of the top causes of a deadly car crash. Obviously if you’ve been drinking at fall party, take a cab or find another ride home. If you’re not nabbed by extra police patrols on the road, you could cause a deadly car crash or even hurt another driver or pedestrian. It’s certainly the most common accident in the fall season. In fact, cars and trucks colliding with animals double the amount of crashes caused by alcohol, drowsy driving and drugs combined. “Hitting an animal can be a traumatic experience for many drivers and sometimes, someone can get injured,” Cellino said. 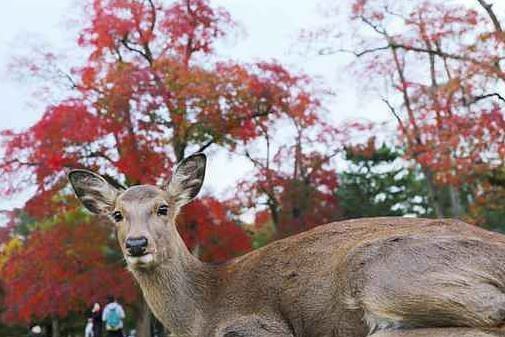 Many animals migrate during the fall and deer can be on the move. According to the New York State Department of Motor Vehicles, “animal’s action” was a key factor in nearly 10 percent of all crashes. Rochester car accident attorneys urge drivers to slow down and make sure you have enough time to stop if you spot something in your headlights – as deer are most active in the evening. As cruel as it sounds, lawyers are also telling drivers not to swerve. Swerving can put your vehicle in the path of oncoming car, which raises the chances of serious injury or death to multiple drivers. NEW YORK – I’m sure you can attest to a minor ‘oops’ when you haven’t had much rest. You might have put your shirt on backwards or put the cereal in the refrigerator (assuming you don’t do that already), or worse – put the milk in a cupboard. Yeah, sour milk isn’t the best aroma in your kitchen but hopefully, that’s the worst that’s happened to you on four or five hours of sleep. New York car accident attorneys at Cellino & Barnes say it could be a lot worse and in some situations, it is. In fact, some of the worst disasters in the last 100 years can be linked to a lack of sleep. We’re not just talking car crashes – we’re talking Chernobyl-type accidents. In 1986, an engineer was working a shift of more than 13 hours at a nuclear plant in Chernobyl, Ukraine. Investigators found a flawed reactor design was at the heart of the worst nuclear plant accident in history but it simple human error triggered it. The accident caused 30 deaths and sparked more than 300,000 evacuations. Similar situations were narrowly avoided in the United States: When an Ohio reactor went into automatic shutdown in 1985, an operator pushed the wrong buttons in the control room, overriding safety functions at the plant. Fortunately, the reactor was stabilized but the lack of sleep would again be a factor in other accidents. More than 10 million gallons of crude oil spilled into the Prince William Sound on the coast of Alaska. The crew piloting the ship had been working around the clock – more than 18 straight hours before the accident. Investigators determined the crew had fallen asleep. Although no one was killed, the waters around the sound remain contaminated today. Engineers recommended postponing the launch date for the space shuttle Challenger because they wanted to test the “O-ring seals” in low temperatures. Mission managers had only slept for two hours before rejecting that recommendation. On January 28, 1986, one of the O-ring seals failed, triggering an explosion that killed the seven astronauts aboard. 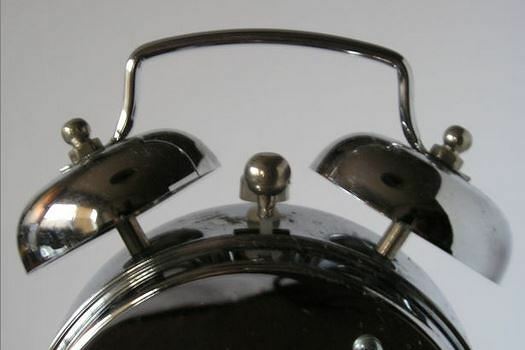 Since these accidents, our understanding of sleep deprivation has improved but some of the nation’s most respected researchers have concluded that serious accidents were made worse by inadequate response times caused by insufficient rest. New York car crash attorneys say the same conclusions can be applied to the highway and without the proper amount of rest, your actions behind the wheel can lead to catastrophic consequences. BUFFALO, N.Y. – Stress causes irritability, anxiety and it can sometimes lead to depression. It is also known to raise your blood pressure, increase muscle tension and cause headaches – now researchers say it can get you injured too. A recent study conducted by the University of Missouri found that there was a surprising pattern of injuries when examining collegiate athletes during midterm and finals weeks. Researchers said they couldn’t explain why the injuries happened but the study did conclude that stress was a common factor. A Buffalo car accident attorney at Cellino & Barnes says stress can often lead to driving injuries as well and in some cases, stress can cause deadly accidents. Researchers say muscles tighten and attention narrows in stressful situations. When the same concept is applied to driving in traffic, doctors say the body can be more susceptible to injury. Other studies on the stressful subject have concluded that people tend to cut back on sleep when they are stressed. For example, college students preparing for exams may cut a few hours of rest, thinking it will help them study more. According to a statistical analysis conducted by the National Highway Traffic Safety Administration, drowsy driving killed more than 800 people in 2009. The MU study suggested that in order to maintain peak performance – whether in sports, in the classroom, or on the road – it’s important to get a good night’s rest, maintain a healthy diet, exercise regularly and handle stress responsibly. Buffalo car accident attorneys agree – a less stressful commute could reduce your risk of crash and injury. ROCHESTER, N.Y. – Last year, over 2 million people were injured in motor vehicle crashes. Statistics gathered by the National Highway Traffic Safety Administration (NHTSA) show over 32,000 people died in car crashes in 2014. These statistics will set the bar for years to come as safety advocates aim to reduce the number of injuries and fatalities as the result of car crashes. A Rochester car accident lawyer at Cellino & Barnes said the number of injuries and fatalities are decreasing but there are still reasons to be concerned. The statistics can help auto experts determine what safety features work on roadways and highway infrastructure. The data can also tell us which features don’t work. In effect, people’s lives depend on crash statistics. That’s why Honda was fined a record $70 million for grossly underreporting fatal accidents and injuries to the U.S. government. The fined doubled a penalty against General Motors for their role in failing to issue recalls in a timely manner last year. Attorneys say the trend shows how much is at stake when it comes to accurate statistics. Amidst the reportedly failed emissions tests, some are accusing Volkswagen of doctoring their crash numbers. VW is already on the hot seat for installing software that would allegedly cheat required emissions tests. Now, Bloomberg News is reporting the company’s injury and death rate was suspiciously low. The German automaker could already face billions in fines from the emissions software and if the allegations are true, the company could tack on more substantial penalties for fudging the crash data. According to an analysis of government data, Bloomberg discovered Vokswagen’s crash rate was lower than Honda and Fiat Chrysler’s numbers, two companies that admitted to underreporting claims. There is no evidence that suggests Volkswagen is deliberately underreporting claims but the numbers may spark another investigation from the NHTSA. With millions of vehicles on the roads today, Americans could be driving a defective car without knowing about its safety hazards. If you were hurt in a crash, Cellino & Barnes urges you to contact a Rochester car accident attorney today to discuss your legal options. Many crash victims may be entitled to significant compensation if negligence is found to be a factor.